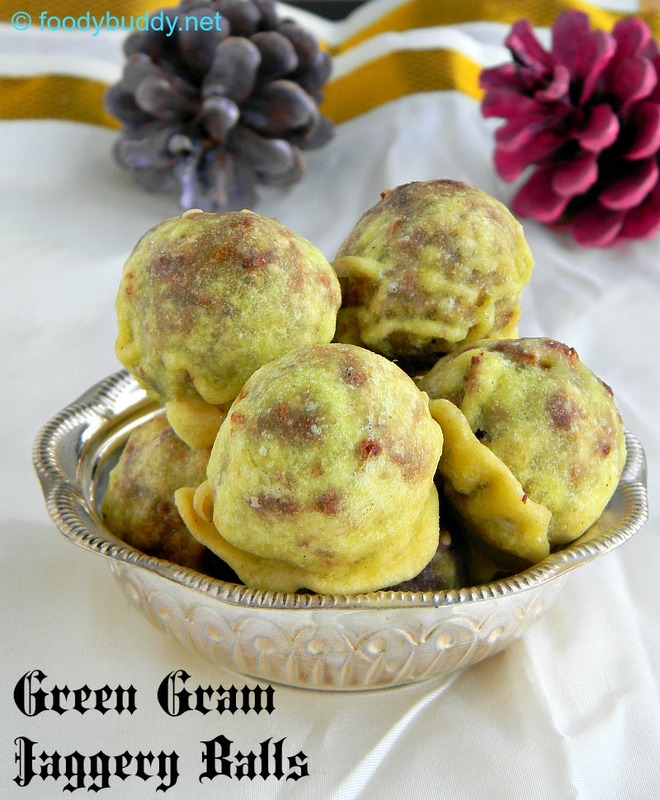 Easy Munthiri Koothu Recipe / Mundhirikothu / Green gram jaggery balls is a healthy, traditional south Indian Diwali sweet particularly famous in kanyakumari, tirunelveli and kerala. They are made with green moong dal, jaggery and coconut for inner filling, rice flour batter for outer covering. This sweet is very similar to another South Indian delicacy called suzhiyam (sugiyan), where cooked channa dal is used and they are soft in texture when you bite. But here in this recipe, roasted green dal is used for filling and it is little hard in texture and when you bite, they are really tasty. I never knew about this sweet and tasted before, when I was talking to my father the other day, he told that his grandma used to make mundiri kothu for diwali. I asked my father, is it made with cashews (mundiri) ? He told it was made with green gram dal. I am not sure about the true meaning of munthirikoothu eventhough it is not made with cashews, so when I did google search, many says it means bunch of grapes in malayalam. Since this sweet is famous in tirunelveli district too, I asked one of my tirunelveli friend Ranjitha for Mundhirikothu recipe, she asked her mom and got the recipe for me. Thank you Ranjitha. 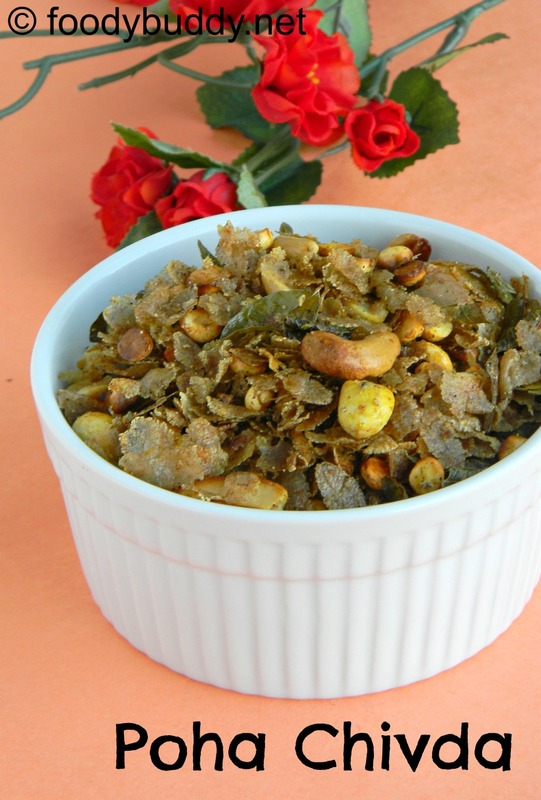 You can make this mundirikothu during festival time like diwali or as evening tea time snack. Easy Munthiri Koothu Recipe / Mundhirikothu / Green gram jaggery balls is a healthy, traditional south Indian Diwali sweet . Heat a pan, dry roast the green moong dal for 8 -10 mins in a medium flame, stir continously until they turn golden brown colour. Transfer this to a plate and allow it to cool. In the same pan, add sesame seeds, roast it till you hear crackle sound and changed to golden brown colour. Transfer it to another plate. Heat the same pan, add jaggery and water, allow it boil until it completely dissolves. Strain it to remove impurities and transfer it to the same pan, let it boil for 6 mins in a medium heat, finally add coconut, dry ginger powder and cardamom, stir everything well. Transfer it to a bowl. Now take a blender and add roasted green gram dal, grind it little coarssely, it should look like semolina. Transfer this to a coconut-jaggery bowl, add raosted sesame seeds and salt, mix everything together. Make equally sized balls out of the mixture and leave it aside for 30 mins. You can also keep it for 1-3 hours for setting. Now the balls are little hard, don’t worry they are supposed to be. For outer cover, add rice flour, turmeric powder, salt and water, mix everything well. The batter should be in dosa batter consistency. Meanwhile heat a pan with oil to deep fry, dip the moong balls in this rice batter, make sure the balls covers well with batter and gently put this oil, deep fry cook both sides until it turns golden colour. Repeat the same process for the rest of the balls. Hot, delicious mundhirikothu is ready for diwali. I didn’t wash the dal, if you want, you can wash it, dry it and then roast it. Always fry it in a medium flame. store it in an airtight container and keep it for a weeks. For outer covering, you can use homemade rice flour or store bought rice flour or maida. Adding dry ginger powder for easy digestion. if dont want, avoid it. 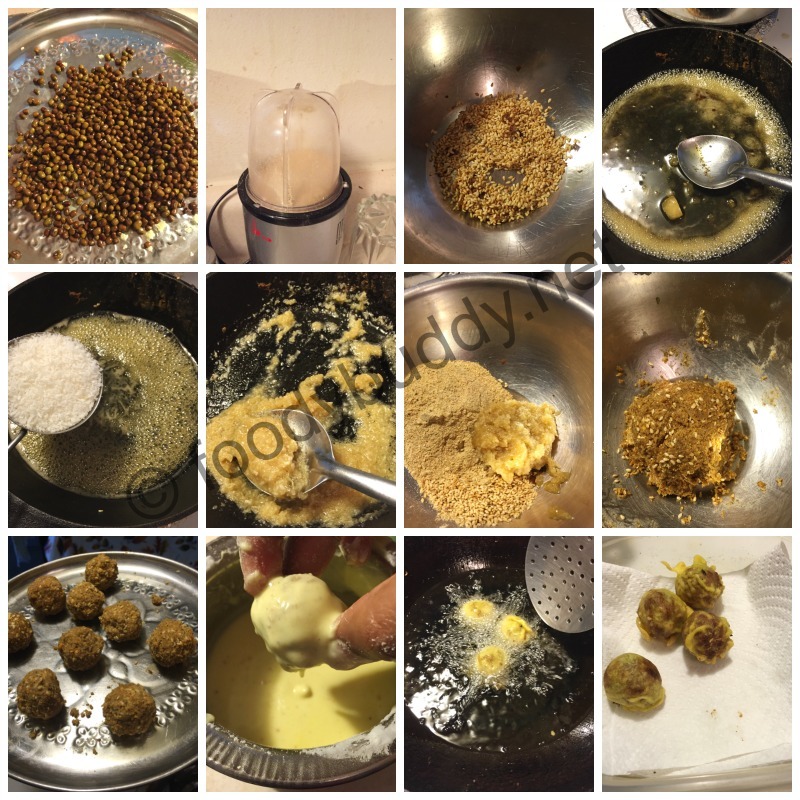 Pasiparuppu laddu Recipe / Moong Dal Ka Ladoo recipe / Nei urundai is an easy, protein rich, healthy diwali sweet (2015) that you can make it very quickly. 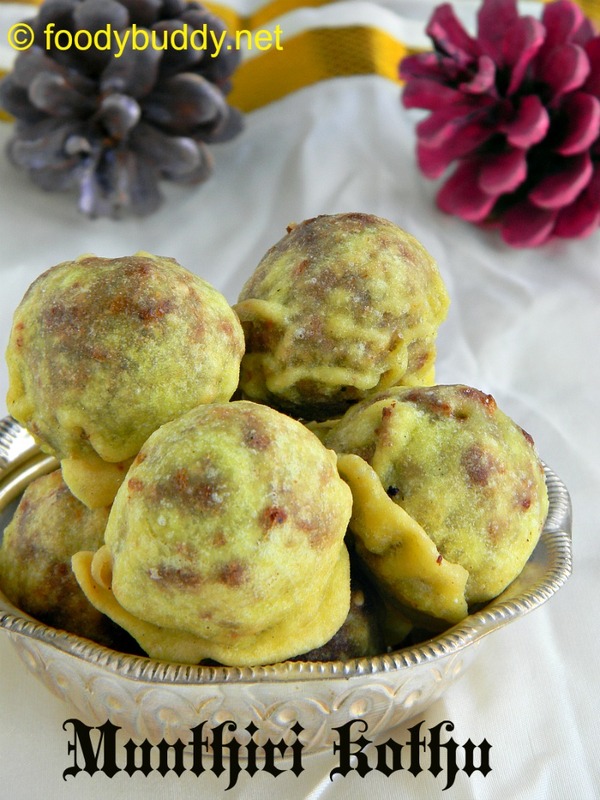 You can also make this ladoo with green moong dal (pachaipayar) too. For sweetness, you can add either sugar or jaggery or honey, thats your choice. But here I used powdered sugar. 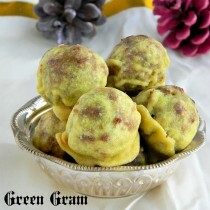 Ghee gives a nice and wonderful taste to this ladoo, also helps in binding. Cardamom adds a flavor and nuts adds nice crunch taste. Try this easy ladoo for diwali, when you bite, it just melts in your mouth. 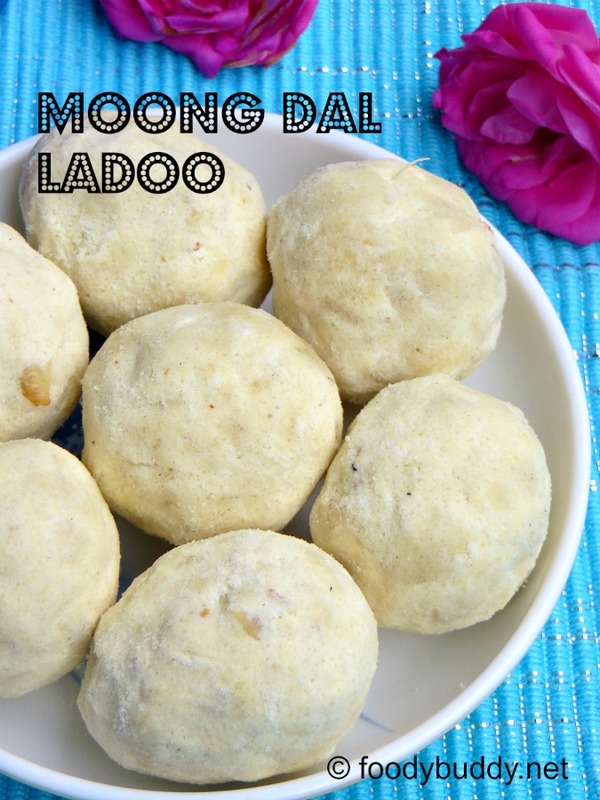 So add it to your to do list for diwali, this moong dal ladoo is good for both kids and adults. 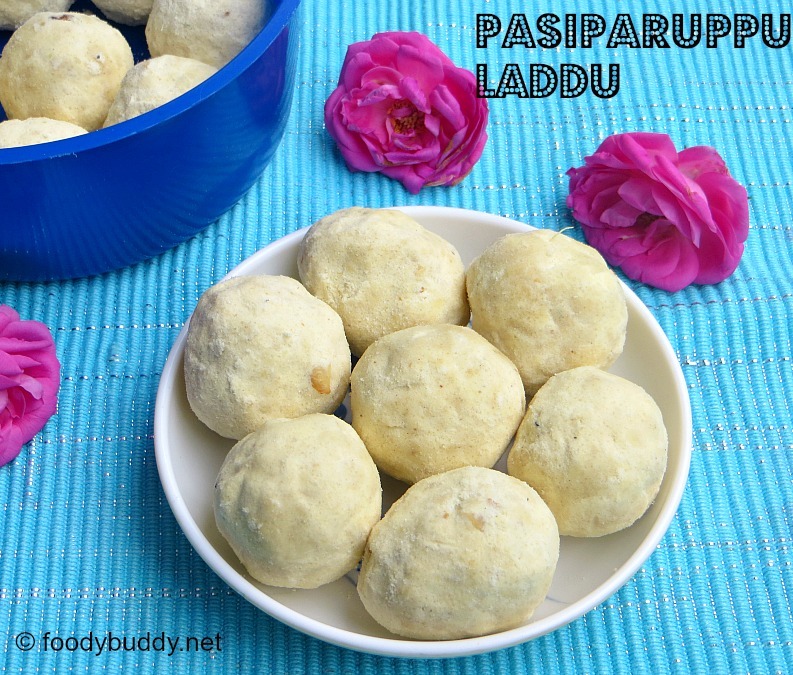 PasiParuppu Laddu Recipe / Moong Dal Ladoo Recipe is an easy, protein rich, basic and yummy ladoo, you can prepare it for diwali 2015. good for both kids and adults. In a pan, in a medium flame, dry roast the moong dal until it turns light brown colour. Let it cool down for 10 mins and grind it in a blender (mixie) to a fine powder. you can also sieve it, if you want. Then transfer it to a big bowl. In a blender (mixie), add sugar and cardamom, grind it to a fine powder. Transfer this to a same bowl. Heat a pan with a tsp of ghee, roast the cashews until it turns golden brown color. Transfer this to a same bowl. Melts the remaining ghee in a pan and transfer this to a same bowl. Mix everything together in hand or you can add little by little. If it is hot, wait until you can handle the heat and start making laddu when it is warm. Let it cool down completely and store it in an airtight container. Yummy laddo is ready to eat. Do not burn the dal while roasting. Always roast in a medium flame. 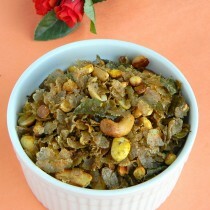 You can also use green moong dal in place of yellow moong dal. Always add melted ghee and it has to be warm, so that shaping ladoo will be easy. You can add any nuts of your choice like walnuts or almonds or even raisins. Adjust the amount of sugar as per to your taste. Add powdered jaggery instead of sugar for mild taste. Tags: pasiparuppu laddu , pasiparuppu laddu recipe, moong dal ladoo, moong dal ladoo recipe, nei urundai recipe, how to make pasiparuppu laddu, prepare moong dal ladoo recipe, easy diwali sweet recipe 2015, ladoo recipe for diwali, pasiparuppu urundai, payanthamparuppu urundai, quick diwali recipes, healthy diwlai recipes for kids. Red Aval Mixture Recipe / Poha Chivda Recipe is a crispy and yummy snack, a nice alternative to deep fried snacks. They are very healthy as I used red aval (rice flakes) and pan fried all the ingredients. There are two varieties of rice flakes, one is thin variety and other one is thick variety. Here I used thin rice flakes to make this wonderful mixture. If you don’t have snacks but if you want something to munch for evening snacks, you should try this guilt free snack (aval mixture), they are very easy to make in very less time and they are good for you. Even beginner and bachelor can make this simple mixture for diwali. 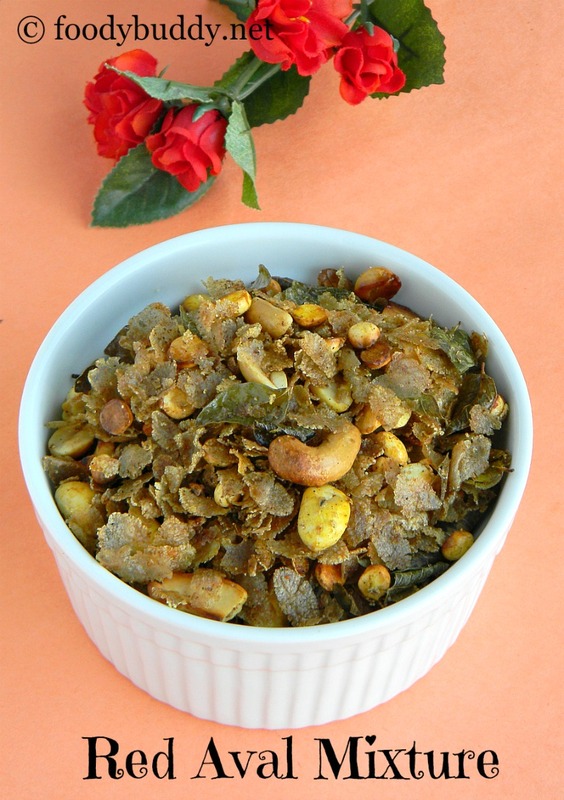 Also check cornflakes mixture recipe in my blog. Red Aval Mixture Recipe / Poha Chivda Recipe / Guilt Free Diwali Snacks is a crispy healthy snack, an alternative to deep fried snacks. Goes well with tea. Take all your ingredients in a plate. Heat the same pan with a tsp of oil, add red aval, turmeric powder, asafoetida, red chilly powder, sugar and salt, roast it for 2 mins until it turns crisp. Remove and transfer it to a plate. Heat the same pan with oil, add cashews and raisins, roast it until it turns golden brown. Remove and transfer it to a plate. Mix everything in a plate and toss it well. Aval mixture (poha chivda) is ready. Cool them and store it in an airtight container. Here I used roasted peanuts so I fried along with roasted gram. If you are using raw peanuts, fry it separately in oil. Raisins add a sweeter note dont avoid it. If you want even more tastier, deep fry everything in oil. Curry leaves adds a nice flavor to this dish. You can also add some grated potatoes, deep fry it in oil and add it to the mixture. Fry everything in a medium flame. You can also add some coconut if you want. Adjust red chilly powder and salt according to your taste. Tags: aval mixture, Red aval mixture recipe, how to make aval mixture recipe, guilt free diwali snacks, guilt free snacks, prepare aval mixture recipe, crispy aval mixture recipe, poha chivda, poha chivda recipe, how to make poha chivda, easy diwali snacks, kids snacks recipe, weight loss snacks.